The long-awaited publication of C.G. Jung’s Red Book in October, 2009 was a signal event in the history of analytical psychology. Hailed as the most important work in Jung’s entire corpus, it is as enigmatic as it is profound. Reading The Red Book by Sanford L. Drob provides a clear and comprehensive guide to The Red Book’s narrative and thematic content, and details The Red Book’s significance, not only for psychology but for the history of ideas. "Sanford Drob has provided us with an indispensable guide to the structure and function, the purpose and meaning of Jung's hidden masterpiece: this lucid commentary will surely establish itself as the inevitable starting-point of Red Book interpretation for many years to come." "An outstanding map to guide the reader through the labyrinth of associations, images, and thoughts contained in Jung's Red Book. Drob locates its innumerable themes within an historical context of classical, modern, and postmodern philosophy, connects Jung's ideas with his later works, and elucidates Jung's unique contribution to Western thought. 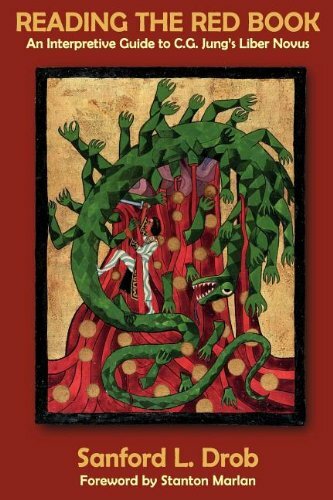 Reading The Red Book is a work of exploration that serves as a companion to any reader who wishes to fathom the secrets of Jung's most enigmatic work." Drob explores Jung's 1944 Kabbalistic visions, the impact of Jewish mysticism on Jungian psychology, Jung's archetypal interpretation of Kabbalistic symbolism, and his claim late in life that a Hasidic rabbi, the Maggid of Mezhirech, anticipated his entire psychology. This work is the first full-length study of Jung and Jewish mysticism in any language and the first book to present a comprehensive Jungian/archetypal interpretation of Kabbalistic symbolism. In the process Kabbalistic Visions raises some disturbing questions about the place of the "irrational," the "shadow," and the unconscious in both psychology and mysticism. In this volume Dr. Drob examines the convergence between Jewish mystical ideas and the thought of Jacques Derrida, the founder of “deconstruction,” and puts this convergence in the service of a theology that not only survives the challenges of atheism, cultural relativism, and anti-foundationalism, but welcomes and includes these ideas. Kabbalah and Postmodernism challenges certain long-held philosophical and theological beliefs, including the assumptions that the insights of mystical experience are unavailable to human reason and inexpressible in linguistic terms, that the God of traditional theology either does or does not exist, that “systematic theology” must provide a univocal account of God, man, and the world, that “truth” is “absolute” and not continually subject to radical revision, and that the truth of propositions in philosophy and theology excludes the truth of their opposites and contradictions. Readers of Kabbalah and Postmodernism will be exposed to a comprehensive mode of theological thought that incorporates the very doubts that would otherwise lead one to challenge the possibility of theology and religion, and which both preserves the riches of the Jewish tradition and extends beyond Judaism to a non-dogmatic universal philosophy and ethic. Kabbalah and Postmodernism provides a philosophical interpretation of such Kabbalistic symbols as Ein-sof (the infinite absolute), Tzimtzum (divine contraction) and Shevirat ha-Kelim(the Breaking of the Vessels). Drawing upon the symbols of the Lurianic Kabbalah, the doctrines of Chabad Hasidism, and the thought of Derrida, Wittgenstein, and Hegel, the author explores the ideas that divinity embodies infinite being, thought and discourse, that “God” (Ein-sof) is the “union of all opposites,” that “reality” is an infinitely interpretable text, and that there is a “coincidence of opposites” with respect to essential theological, philosophical and psychological ideas. Dr. Drob argues that humanity must move from its predilection for unilinear thought to bilinear and multi-linear thinking, and that all forms of thought and being, including all systems of philosophy, theology and psychology are inherently incomplete, subject to “shattering” (Shevirat Hakelim) and revision/emendation (Tikkun). Hardcover, 338 pp. 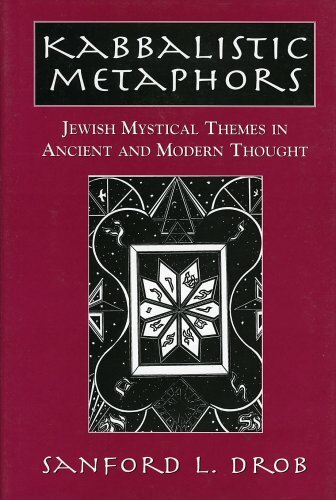 Kabbalistic Metaphors places the major symbols of the theosophical Kabbalah into a dialogue with several systems of ancient and modern thought, including Indian philosophy, Platonism, Gnosticism, and the works of Hegel, Freud, and Jung. The author shows how the Kabbalah organizes a series of ancient ideas regarding God, cosmos, and humanity into a basic metaphor that itself reappears in various guises in much of modern philosophy and psychology. Recognition of the parallels between the Kabbalah and modern philosophy and psychology provides us with valuable insight into both the Kabbalah and modern thought, and helps pave the way for a "new Kabbalah," one that is spiritually and intellectually relevant to contemporary life. The author shows how the Kabbalah is unique in its position in the history of Western thought, acting as a "switching station" in which the biblical tradition, Near Eastern mysticism, and Western philosophy converge. In the Kabbalah of Isaac Luria these traditions combine with Luria's profound spiritual insight and intense mythical imagination to produce a comprehensive philosophical and psychological vision of the nature of God and humanity that was only imperfectly represented in the prior traditions. Hardcover, 392 pp. Symbols of the Kabbalah provides a philosophical and psychological interpretation of the theosophical Kabbalah. 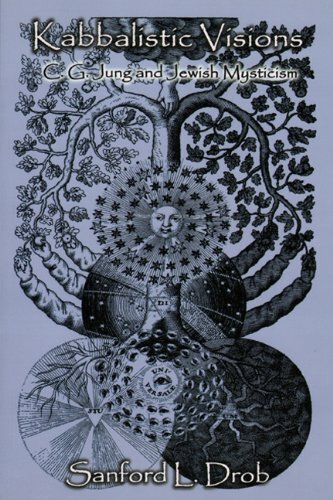 It shows that the Kabbalah, particularly as it is expressed in the school of Isaac Luria, provides a coherent and comprehensive account of the cosmos, and humanity's role within it, that is intellectually, morally, and spiritually significant for contemporary life. 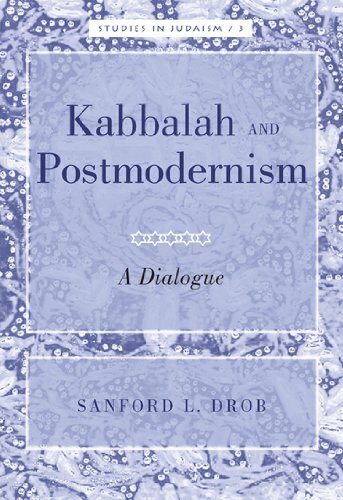 In this book, Dr. Sanford Drob articulates the philosophical and psychological ideas that are implicit in such kabbalistic symbols as Ein-sof (the Infinite), Tzimtzum (Divine Contraction), Sefirot (Divine Archetypes),Shevirat ha-Kelim (Breaking of the Vessels), and Tikkun ha-Olam(the Restoration of the World). Dr. Drob shows how contemporary philosophy and psychology enable us to gain insight into the theosophical Kabbalah, and to understand the Kabbalah in a manner that is vitally relevant to contemporary life and thought. It is the author's conviction that the theosophical Kabbalah provides a symbolic matrix through which the "ultimate questions" regarding God and the world, and the meaning of human existence, can be provided with satisfactory solutions. Rather than being an antiquated mystical and theosophical system, the Kabbalah provides us with a dynamic conception of God, world, and humanity that encompasses all happening and all things, and which enables us to understand even the daily activities of men and women as vital to the redemption of the world. 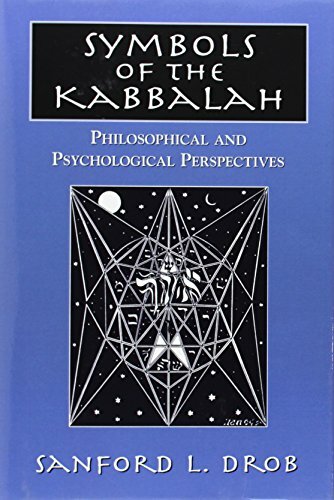 Symbols of the Kabbalah is the first comprehensive interpretation of the entirety of the theosophical Kabbalah from a contemporary philosophical and psychological point of view, and the first effort to articulate a comprehensive modern kabbalistic theology. Hardcover, 456 pp.